Ugwueke village is found in Bende local government area of Abia state, southeastern Nigeria. The town faces Ezeukwu and Isuikwuato at the west, Amaokwe Item at the East, Akaeze and Ishiagu in Ebonyi State at the north and Alayi at the south. The nickname for this village is “FOOD BASKET” since there is an abundance of food in the land. This land is a great Agricultural site that is abandoned by the government and needs the intervention of the government at a high level. Its population as of 1993 by census was about 20,000; the town now has grown to a population that is more than 45,000 today who are mostly farmers. Ugwueke village is a rich arable land that mostly produces Maize, Yam, Cocoyam, Cassava, Rice, Vegetables, etc. the people of this land solely depend on their farm produce for food and some of them use a motorcycle for transportation as that is the only means which they can use to a distance place. The first constructed road there which connect from Alayi to Akaeze, Ebonyi state was a manpower success under the British efforts in the 1930s. 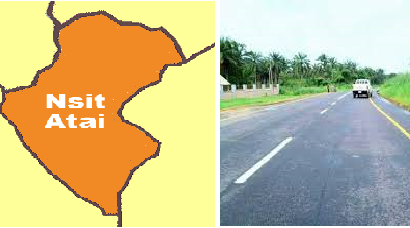 The road is a 23km long which also join Okigwe-Afikpo Expressway. However, the Ugwueke development union women wing with the effort of communal have been able to put up two mighty bridges for the village. The town also has a secondary school that is built by the village development union called Ugwueke central school, the only source of water use to be from a river called Eze river until now that two boreholes has been sunk but the taste is not good and is just private so people don’t make use of it and therefore still rely much on their “Eze River” for drink, recently electricity is also available in the village. The passed Government of this land has abandoned Ugwueke to suffer but it indigene are some set of great people who do not wait for the government to provide them their needs. The food eaten by the people of Ugwueke of Bende LGA are mostly the normal food eaten by the Igbos which are Ukwu (vegetable soup), Orha soup, Okra soup, Egusi soup, Banga soup, Plantain, Yam pottage, Fufu, rice etc. there is plenty of food to eat here, no one stays hungry in Ugwueke village. This people value their tradition and festival so much that they even mock one another when they don’t carry out their right. Some of the major festivals are “Ajonkwu” which usually comes up during March or April, and “Ibo Uzoukwu”. The major language here is Bende and General Igbo, Broken English is common and British English is not well spoken. Other languages like Yoruba and Hausa are not common because this place is a village and people from the city do not come here to live, instead, indigene migrates to other Urban area or moves to a city like Lagos, Aba, Port Harcourt, Abuja, Calabar, etc. The type of job available here is majorly Buying and Selling, Farming, Tailoring, Teaching, Nursing, Health Specialist and Doctor too. People come from other villages to buy their farm produce. The white men are the ones who are handling the medical aspect of this village. There is a hospital called “Royal Cross Methodist Hospital”, built by the support of Wesley Guild UK, the Methodist church, the village Union and many other organizations and individuals which are not listed here Royal Cross Methodist Hospital.